On August 18th of last year, the Rendille of Kenya finished translating the New Testament into their own language. Thousands of people from the surrounding villages came for a dedication celebration. And what a celebration it was! In worship, they sang and danced for more than six hours … and then led a procession carrying the New Testament Bibles on the backs of camels. After 37 years of work, God’s Word was available in the language of Rendille! 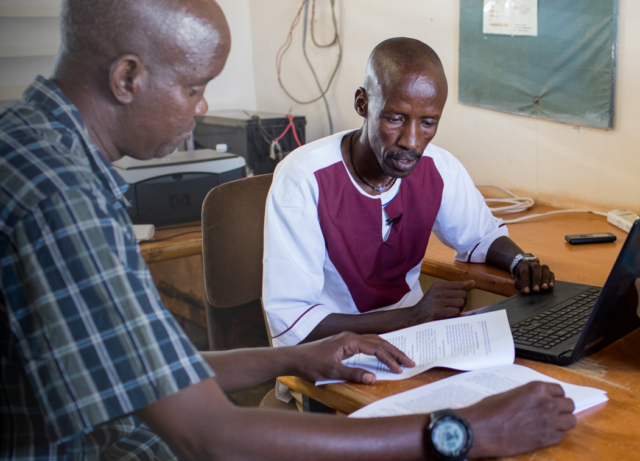 The project was spearheaded by Seed Company, a non-profit that is accelerating the spread of Bible translation at a pace set to make church history. Along with other Bible translation groups around the globe, they embark on each translation project by locating, training, and supporting local translators who work in the media that will resonate most within their community, such as the printed Bible, audio for oral communities, and video for sign language. But his passion to this vocation came from God. Laban was sure. “It’s a call that was in me. If it’s not a call, I could have left a long time ago,” he says. Then Seed Company came to him. In 2015, the pace of the translation sped up, and the desire for Scripture among the Rendille people grew. During the years of translation, a group of individuals wholeheartedly dedicated themselves to learning how to read and write their own language. This was no easy task. Their earnest preparation was vital, as they would be the ones to teach others to read the Word of God. One Rendille woman, Lagoyaa, heard there was a group of women learning to read Rendille using the Bible to learn and teach others. She joined, and immediately heard about Jesus. Now, four years later, her life is totally different. As she looks back, she realizes it was God’s plan for her to join the literacy group. Now, she preaches the gospel from village to village. Now, she says, she is the one to go out with the message. Rendille oral history and traditions connect them all the way back to the nation of Israel, through Noah’s son, Cush. They were one with the Somali people – herdsmen and nomads – traveling toward the African continent. But when they arrived in Africa, the Somali wanted to stay on the coast, in the lands with good pasture. The Rendille continued on into what is now Kenya. For this reason, the Somali called them “rertit,” which means “refused” and “rejected.” Their name, Rendille, is a colonial mispronunciation of this word. The traditional religion of the Rendille is one of moon worship and ancestral spirits that must be appeased, along with animal sacrifice. However many of their traditions can be traced back to Judaism. They celebrate a Passover ceremony, during which the firstborn son of each family slaughters a sheep and puts blood on the doorposts of their home. Rendille people believe in a great being who created all things and blesses the poor. They pray in groups and follow practices that bear outward resemblance to Judeo-Christian traditions. Yet without God’s Word in their heart language, they struggle in a world of spiritual darkness. When Islam came to their region, most of this “refusing” tribe rejected Islam, gathering all the copies of the Koran the Muslims left behind and burning them on the top of a mountain. Until the end of the 20th Century, the Rendille had little exposure to Christianity. Though they are among the last people groups in the world to be reached with the gospel, about 15 percent have become Christians. People deserve to know God’s Word in a personal way. Many of us have a language that we officially speak, the one that we studied in school. But our heart language? That’s the language that’s most familiar. Sometimes it’s the same as our official language; sometimes it’s not. It’s the one that our parents spoke to us as children or the one that our friends made jokes in as we grew up. It connects us in deep ways, building deeper understanding, trust and relationship. Imagine trying to connect to God and hear his promises in a language that doesn’t match your heart language. This is why the Rendille are celebrating. Seed Company came alongside those who were laboring so long and helped them to finish their work. The God who so loves the people of the world has not rejected these people. Seed Company has engaged in projects like this one with 1,600+ languages through 1,300+ active local partners, and they continue to mobilize thousands of prayer partners to actively intercede on behalf of the 100+ countries where they serve. Imagine a subtle, percussive hum off in the distance, building into a gritty chant filling the atmosphere. You are awash in tears and smiles as outstretched arms receive Gods Word for the first time. It’s hard to describe such an event if you haven’t been immersed in it and experienced it yourself. Later, Laban stood up in an assembly of the Rendille people and held up his New Testament. Together … in unison … they read from the book of Matthew. And they loved the Word of God. “If I look back at the challenges and what people were saying, now that the Scriptures are here. All the questions that people had are no more,” Laban says. * Much of the background information in this article was learned from Joshua Project. 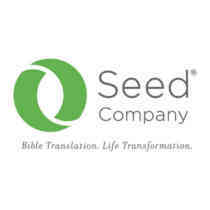 Seed Company is at the cutting edge of bringing the Bible to people who have never heard God’s Word in a language they understand. Their goal is to work through Great Commission partnerships to bring Scripture to every heart language that needs it by 2025.